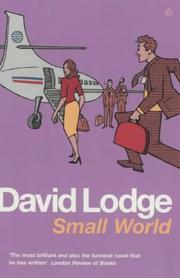 During Hurricane Sandy, I read two novels by David Lodge. Both are in his “campus trilogy” of professor novels. 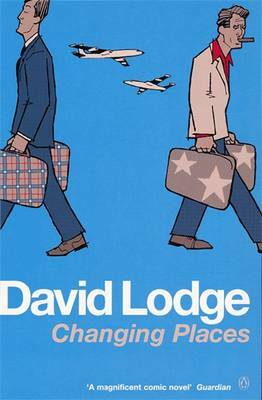 Changing Places is about a high-powered American and a nebbishy Brut (both English professors) who swap places and whose lives begin to resemble each other oddly. And Small World is about a bunch of professors (including the two from the first book) who fly around and encounter each other at a bunch of academic conferences. The campus novel has to be the most insular and self-absorbed of all the genres of literary fiction. The lives of college professors are fundamentally undramatic. First you’re in school for a zillion years, then you basically stay in one place until you die. I mean, if you can’t find a job (or aren’t granted tenure), then that’s pretty dramatic, but then you’re not a professor anymore. Bad professor novels center around adultery; good ones center around the silliness of departmental politics and academic maneuvering. Lodge’s novels are both good and bad, since there’s tons of adultery in them. And the adultery is pretty much the only thing that isn’t ridiculed. The books really do seem to believe in: a) soul-sucking, empty marriages; and b) life-affirming adulterous relationships that reinvigorate a man’s emotional energies. And those are just two things that I cannot take seriously. I mean, you can have adultery in your novel. I won’t necessarily stop reading it. In real life, I’m sure that adultery continues to remain a major concern for a huge percentage of people. But, in fiction, it makes me suspicious. However, the good part about these novels were their surprising experiments with form. Changing Places switches forms several times. First it’s told as straight narrative, then as an exchange of letters, then as a series of newspaper articles, and then as a screenplay. Since the book is replete with theorizing about the nature of the novel, all of this fits together in kind of a weird way (especially given the book’s absolutely perfect ending) to showcase the arbitrariness of the novel. But the experiment in Small World is, if anything, even subtler and more interesting. The subtitle of the book is : An Academic Romance, and a recurring motif throughout the book are the differences between the prose romance and the modern novel. The book itself is structured as a romance, with fanciful situations and a hero who overcomes an arbitrary series of obstacles in search of a distant object of desire. And for most of the book, I wondered to myself, “This is nice and all, but where is it going.” But the ending really does wrap it all up perfectly in about twenty pages. Aside from my eye-rolls about the adultery, the novels were a lot of fun. I loved the characters. The main ones are Philip Swallow (who’s a Brit who got his professorship purely through his facility with exams; he’s never published a book) and Morris Zapp (the world’s best Jane Austen scholar (and, later, a convert to postmodernism). He can’t stand Jane Austen). And the settings were quite a bit of fun too. There’s a send-up of Berkeley and another send-up of a college in a grimy British industrial town. The whole series reeks of the sixties and seventies. The first one has recurring sideplots dealing with free love and campus radicalism, and the second one goes off on a tear about structuralism and post-modernism. But so what? The sixties were fun times.